Voices invites everyone to connect with one another through shared melodies and harmonies of songs that bring us together. It is through the coming together of music and words that we create song, a beautiful relationship between different elements. Similarly, when we all join our voices in song, we share an almost magical connection with our fellow singers around us. Experience this special bond at Voices. 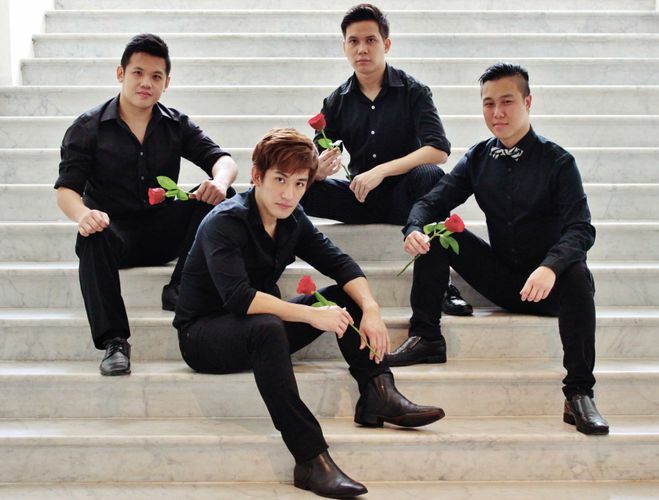 Singerporean Cantante is a classical crossover group consisting of Benjamin Eio, Leslie Tay and Shafiq Haziq, led by Windson Liong. With influences ranging from pop, rock, jazz, musical theatre to opera, let these four eclectic singers serenade your evening in perfect harmony, as they present popular and classic songs from various genres of music.